Webster Groves Community Days is an annual event to celebrate the Fourth of July holiday. The Citizen’s Committee for Community Days organizes all of the activities for the event. The Webster Groves Lions Club also holds its annual carnival and barbecue charity fundraiser during the celebration. 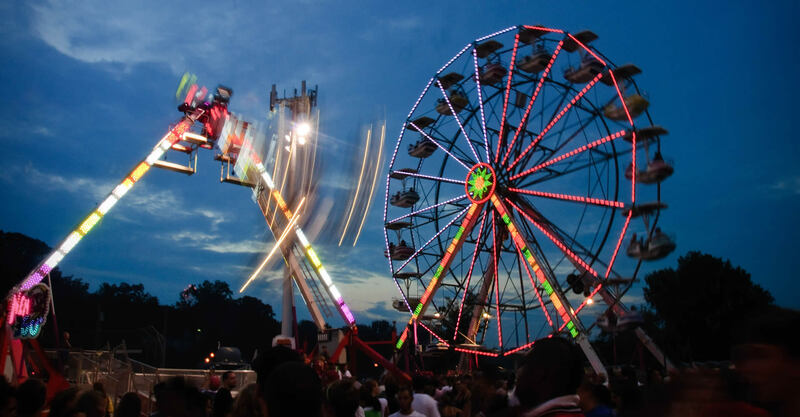 All activities (aside from the carnival and barbecue) are free and are funded through donations from businesses, organizations, and the citizens of Webster Groves. Carnival parking will be in the Hixson Middle School parking lots on the north and east lots for $10 per car. All proceeds benefit the Webster Groves High School band program. 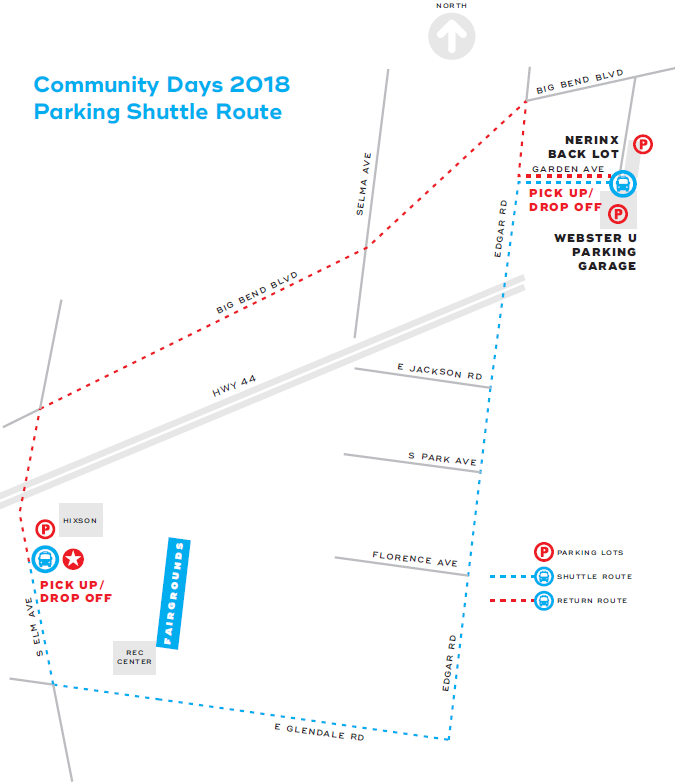 A shuttle bus will be available from the Nerinx Hall parking lot each day, July 1-4, for $5 per car.